If you have a slab or garage slab that needs doing, we have a great crew to take on any project to a very high standard. House & Garage slabs require formwork and concrete pumps. We organize everything for the job and always work with the owner/manager to ensure that the project is planned and done in time. These require excavation and sand pads to be packed to a required height. 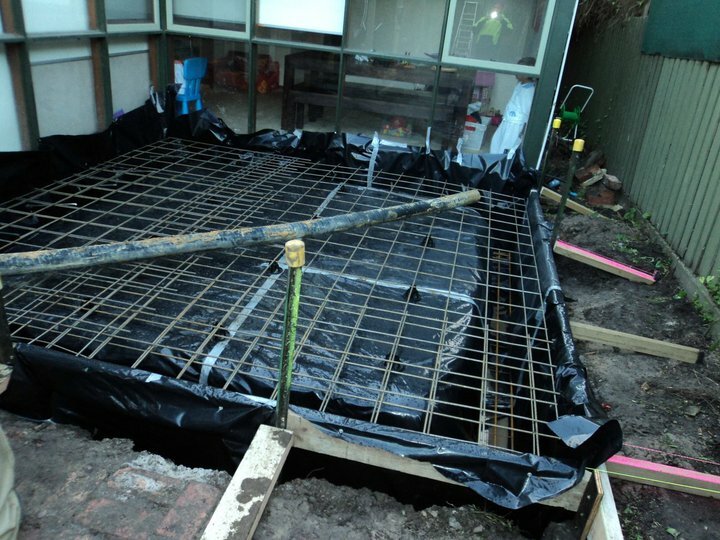 Once we do this, plastic is laid and steel reinforcement is laid. Boxing is a crucial part of any slab as dimensions need to be checked and double check to ensure the slab is as per your drawings! Garage slabs are typically smaller type jobs and normally require a smooth trowel finish with a helicopter. Getting a smooth finish is what we specialize in and have both a great team of experienced concreters to deliver the job and also the machinery! Typically found in new housing developments, these have become increasingly popular and are the go-to for volume builders and a lot of people. They don’t have the strength of conventional rafts slabs but do go down quicker so are a little cheaper!